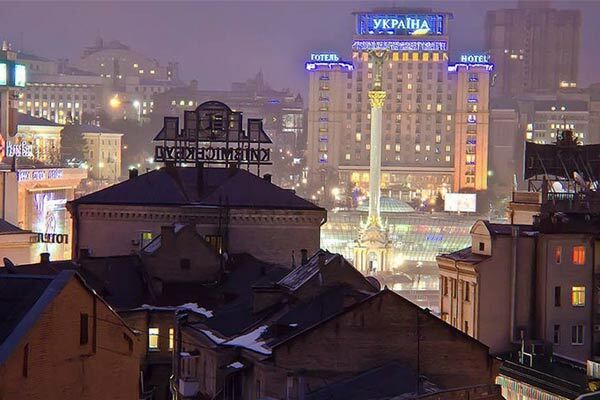 This apartment is located in the very center of Kiev among historical blocks around Khreshchatyk and Maydan Square. Despite the downtown place this area is very quiet and is mostly pedestrian. Right in front of the building stands Hyat Regency Hotel, neighboring streets are full of pubs and restaurants. Independence Square (Maydan) lays within 3 minutes stroll, the same distance to prominent Kiev's monuments - Sofiivska church and Mykhailivsky monastery. 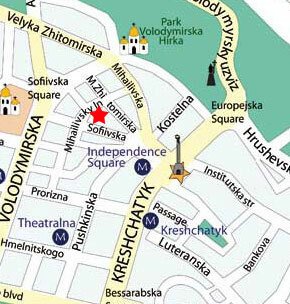 Nearest Metro stations are on Maydan and on Golden Gates (3-5 minutes walking). Perfect location in the heart of city for travelers and all guests. 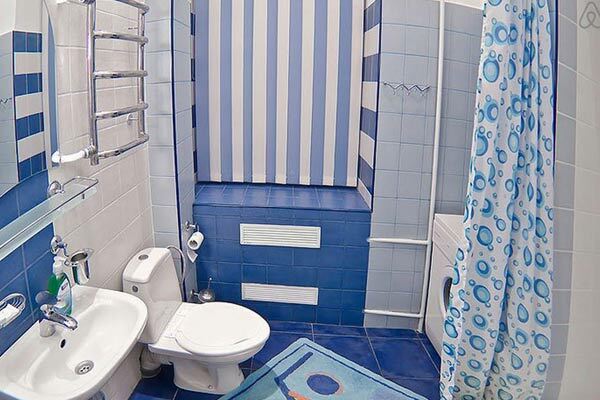 Neat and elegant one-room apartment near central square of Kiev. This small but charming and quiet apartment is located on the 4th floor of historical building with tall ceilings, big windows and marble steps. Street entrance has magnet lock and intercom to the apartment. The building has elevator. 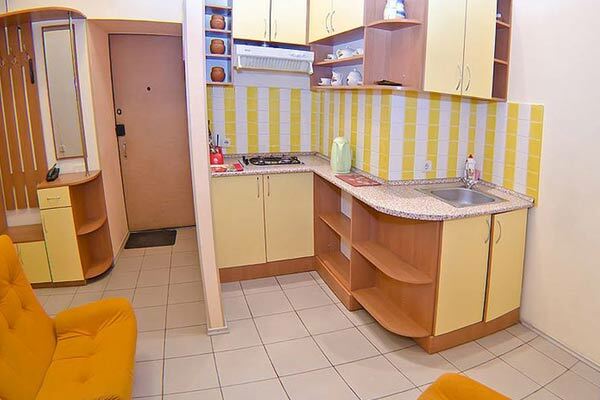 Apartment has one room with balcony overlooking Maydan, separate kitchen and bathroom, connected by corridor with wardrobe. Room's floor is covered with wooden parquet, kitchen floor has ceramic tile. A King-size double bed and arm-chairs stand in the room along with small table and pier-glass. Also it has air conditioning. Bathroom has a shower cabin and washing machine. Kitchen is ready-to-cook, equipped with all necessary appliances including microwave, fridge, set of dishes and cutlery, pans and cans. 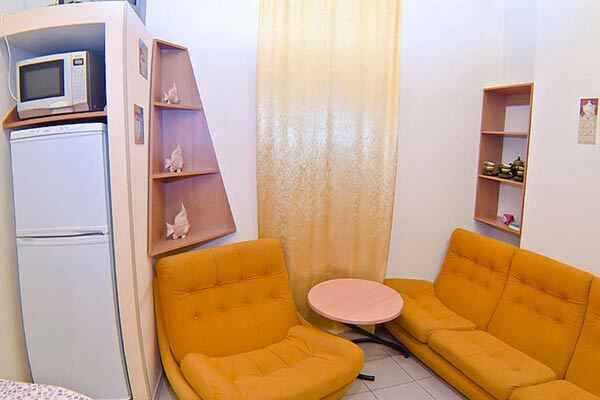 This apartment (as well as all other apartments we offer for accommodation in Kiev) is supplied with cable TV on many languages and Wi-Fi router, internet access is free of charge and unlimited. Place for parking near the building.